I think pretty much everyone I know as watched Loony Tunes at some point in their lives. I know I loved watching Loonie Tunes cartoons when I was a child and even now I still watch it once in a while. If you are Loony Tunes fans then I have some great news for you. Warner Bros. has released Looney Tunes Super Stars: Foghorn Leghorn & Friends and Looney Tunes Super Stars: Tweety & Sylvester on DVD. They are currently out in stores and they would make awesome gifts to Looney Tunes fans. Synopsis: Foghorn Leghorn, the overgrown, adult rooster with the strong Virginia accent and a penchant for mischief, is featured as the Super Star is these Looney Tunes cartoon shorts. Watch the diminutive Henery Hawk’s attempts to catch and eat Foghorn, Foghorn’s gags on his canine nemesis Barnyard Dawg and finally the overgrown rooster’s efforts to woo the widowed hen Miss Prissy in this collection of cartoon shorts. 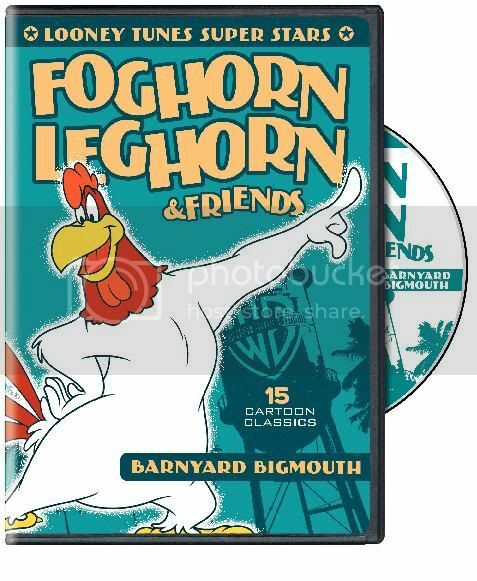 Additionally Foghorn is joined on the disc by some other Looney Friends such as Elmer Fudd and Two Crows. This second installment of the “Looney Tunes Super Star” series, prominently stars Foghorn Leghorn & some of his Looney Tunes friends. Synopsis: When Friz Freleng directed 1947's "Tweetie Pie," he may not have known he was making history. This, the first pairing of Sylvester the sputtering cat and Tweetie (later Tweety) the wide-eyed canary, won an Academy Award and united a duo that would appear in more than 40 Warner Brothers cartoon shorts by 1962. Sylvester and Tweety earned their studio another Academy Award for 1957's "Birds Anonymous" and several other Oscar nominations through the years. 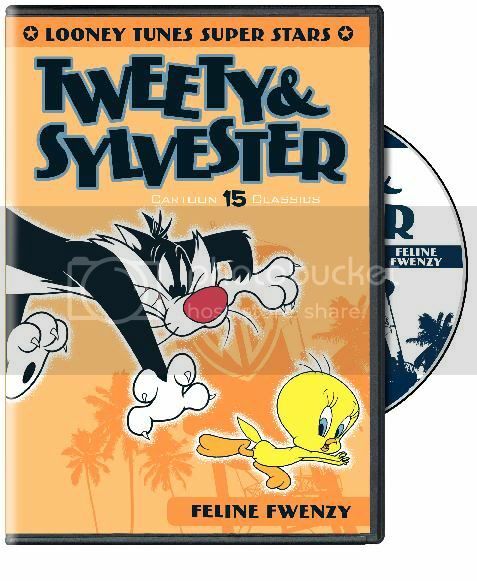 Generations of Americans have grown up watching Sylvester's classic, ever-thwarted attempts to catch Tweety. With two of the most famous voices in cartoons, both supplied by Mel Blanc, Sylvester's sloppy "sufferin succotash" and Tweety's baby-voiced "I tawt I taw a puddy tat," Sylvester and Tweety are two of the most quickly identified characters in cartoons. This second installment of the “Looney Tunes Super Star” series prominently stars one of the Looney Tunes franchise’s most popular characters, Tweety!